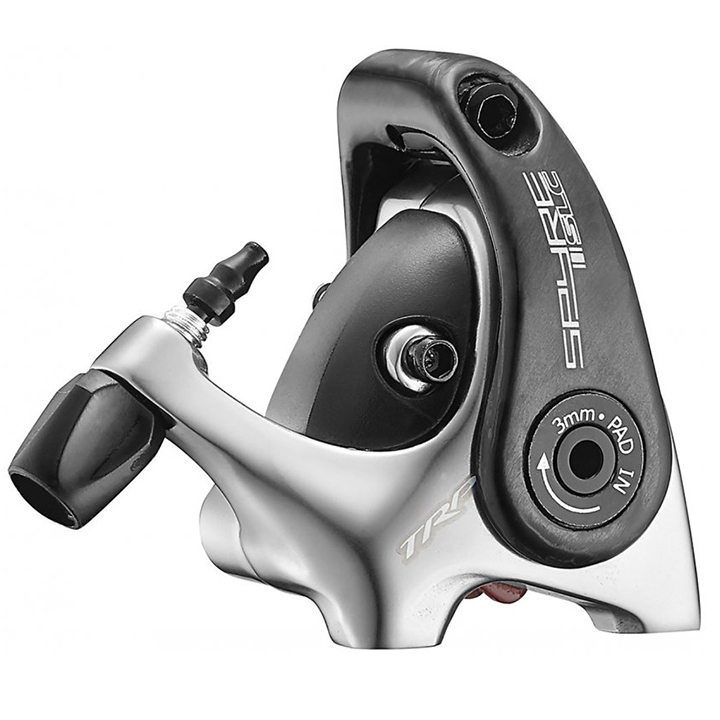 The TRP Spyre is a dual sided mechanical brake where both pads actuate providing even and precise clamping force. This translates into even pad wear and, with the addition of a simple cable barrel adjuster, the pads can be adjusted easily and hassle free. No frustration at completely adjusting the whole caliper, only to have it continue to drag the fixed side, adding wear! All of this in a incredibly thin 40mm wide, 154g slender package that works with any of the drop bar levers on the market. The TRP Spyre brake is available with 140mm or 160mm rotor and includes all mounting hardware, rotor, and adapters. Works with ALL cable actuated road levers. We HIGHLY recommend compressionless housing.